Lanka Bell, Sri Lanka’s iconic telecom operator has achieved a significant milestone of reaching 50,000+ households and businesses with its fourth-generation LTE internet connectivity; Bell4G. Within a short period of time Bell4G has raised the bar from serving 15,000 to 50,000+ customers, swiftly gaining ground as the preferred choice for 4G technology users island-wide. With attractive packages offering multiple-functionality, additional off-peak capacity and the lowest rates in the market, Bell4G is undeniably the preferred option in terms of internet connectivity. Lanka Bell’s operates in band 40 on the frequency range of 2.3 GHz which is the preferred spectrum for LTE operations which helps Bell4G subscribers to experience faster upload/download speeds in addition to a host of added advantages. 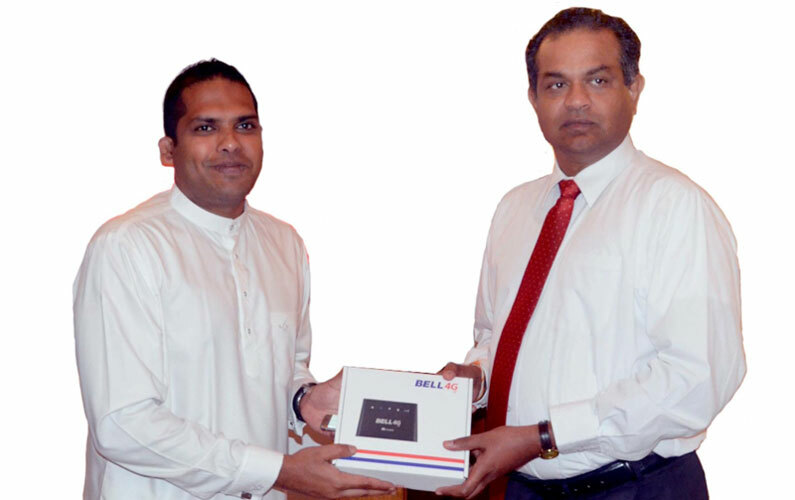 “The demand for Lanka Bell’s Bell4G service has reached staggering heights and is now the preferred internet service provider in the island due to its speed, reliability, uninterrupted connectivity, and value for money propositions", said Managing Director of Lanka Bell Limited, Dr. Prasad Samarasinghe. “Lanka Bell’s commitment to innovation and research has resulted in it achieving its targets in rapid succession within a brief period. Further, Bell4G, with its cutting-edge technology is five times faster than 3G technology, making it the number one choice in the market”, Dr. Samarasinghe added. Lanka Bell is currently in the process of testing the next phase in the evolution of LTE technology which is the 4.5G network. By deploying this technology using advanced mechanisms such as soft split and carrier aggregation, customers will also be able to experience uninterrupted service and faster download speeds. The Company is also working with Content Delivery Networks (CDN) such as Google and Akamai to offer buffer free content. This is done by acquiring content co-located in their networks.